Welcome to WSG #343! All PencilJack Members can participate in the weekly sketch group simply by posting a sketch, drawing, or painted-study of one of the topics below. If you don't like the topics, PM me with a topic you'd like to draw next week in the Sketch Group, and I will try to include it there ! 1. Favorite stuff from 2013: As we ring out the old year and welcome in a new one, lets think back across 2013 and draw or sketch our favorite stuff whether it be from comics, television or movies this last year! It was a good one for movies with Pacific Rim, Thor 2, Man of Steel, Wolverine and the new Hobbit Movie. Did you like the finale of Breaking Bad, or season 3 of Game of Thrones, how about Agents of Sheild, or Doctor Who? There were some big events in Comics too, so if you want to draw something from the comic-book world(s) you can do that too ! Goodbye 2013, and thanks for the memories! 2. Draw any of the characters of thEbrEEze's webcomic: Villain! If you haven't seen his webcomic, check it out here: http://www.villain-comic.com/home/ And after you've read a few chapters check out the cast of characters here: http://www.villain-comic.com/home/cast-2/ If you draw any of the characters feel free to submit them to the fan-art page on the same website! 3. The muscles of the arm! 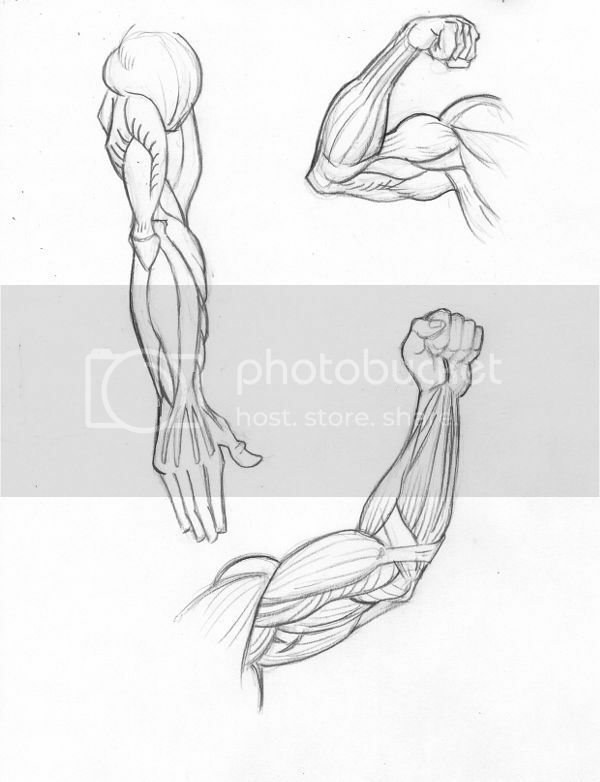 It's time to take a closer look at anatomy, and this week we'll look at the human arms, from the tip of your fingers to the top of your deltoid, lets draw some arms. Feel free to label the various musculature if you are going for definition. Draw your arms in different positions and ranges of movement! There's a ton of reference out there for drawing arms, and if you come across any good ones, post them here too so that everybody can benefit ! General anatomy resources that include specific guides for drawing: Anatomy For Sculptors, Pachruz, resource list including stock photo collections, figure drawing overview, and figure drawing instructor notes. Detailed musculature diagrams, and simplified diagrams. Breaking down the forms into simple geometry, using a lighting-shaped line to quickly sketch limbs, and shoulder tips. Hands, more hands, toony hands, hands holding weapons (and even more hands on the artist's Pixiv). Hey Marooney I was think Community Projects should have some weekly anatomy study groups so it's good to see this being worked into the WSG. Hopefully we'll work through all the groups of the body. Woohoo!! I'm so humbled that Villain is a topic this week! @tudore: Thanks for the links! Appreciate it! Not I've got to draw some arms ! @Dan3K: Cool Bliss drawing from thEbrEEze's VILLAIN webcomic! @girdoggy: Nice job on those arm-studies! I'm going to do a few myself before the week is over. Very nice Galaxy drawing scmarooney! 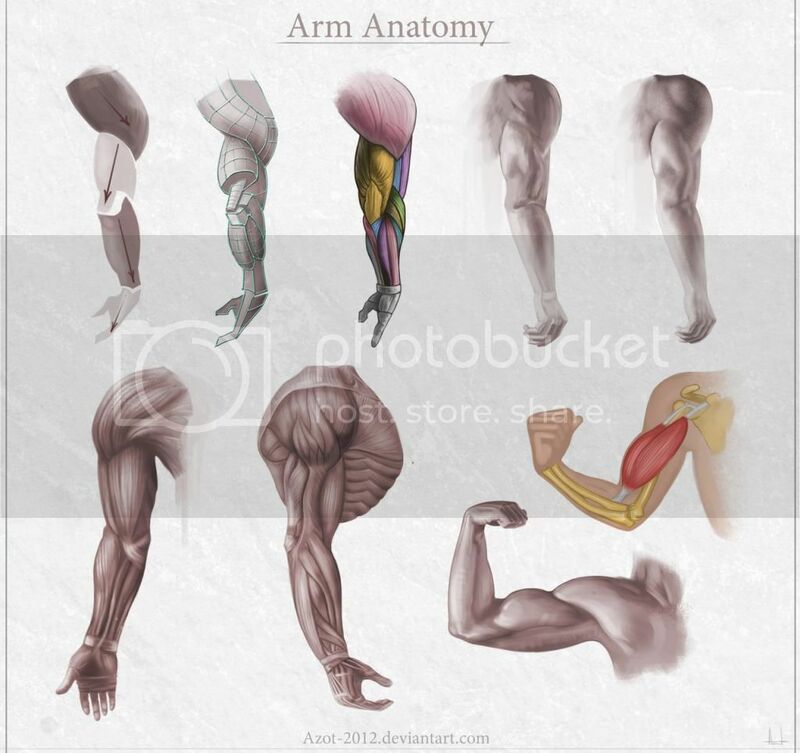 Found this arm anatomy gifs. thing they're freakin cool, duno who the artist is, think his name is Dain?? Can't have VILLAIN be a topic and not come through! Here's a page from my sketchbook! ALPHA! 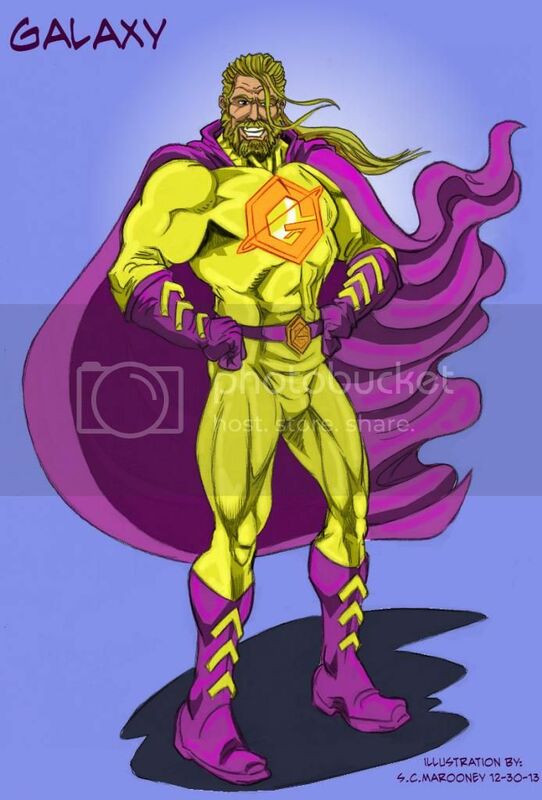 And I think it's a good opportunity to share with you guys a character that has yet to make his debut in the VILLAIN universe. You will see this guy a little later in issue 6. He's the right-hand of Maximillion Shepard. Ladies and gents I give you BRICK HOUSE!!!! @girdoggy: thanks! And those are some cool arm-rotation animations you found, and thanks for the link! 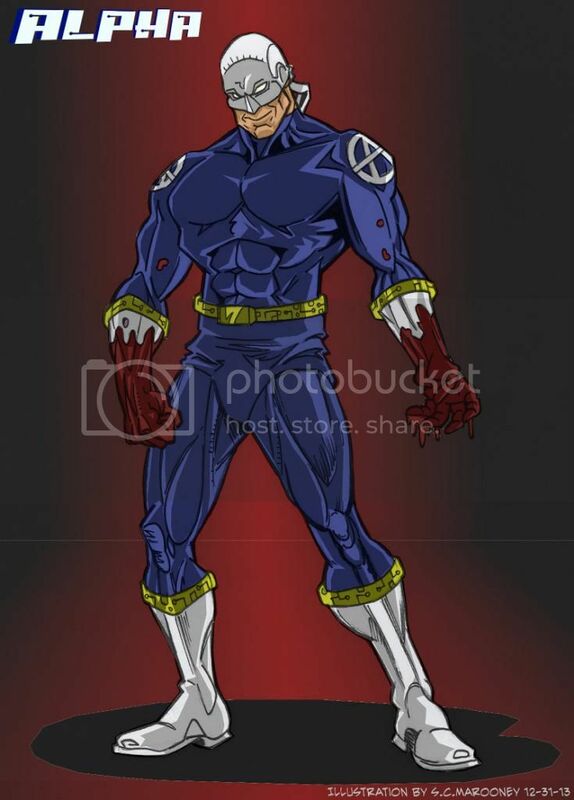 @thEbrEEze: Nice job on the drawings of your VILLAIN comic characters! Awesome drawings so far. Definitely going to check out Villian. Last edited by SphericalCheese; 12-31-2013, 08:37 PM. Excellent Alpha scmarooney and cool colors ! Hey thEbrEEze - I read Villian. Very cool. I particularly like the page layouts. Here is a rough draft of Omega - better inks, shadows, and colors later in the week. @SphericalCheese: I like the Furbee sketch! The Omega drawing is coming along nicely, looking forward to seeing it finished! @girdoggy: Good job on the arm-sketches!